Not all beaches are created equal, while there are thousands of picturesque, postcard ready beaches throughout the world; some really take it to the next level. Whether it the sand, the scenery, the company Here are some of the most unique beaches in the world. Located in MacKerricher State Park, California, this beach is filled with magical soft rounded sea glass. Though this is is not natural wonder it definitely makes glass beach one of the most unique beaches in the world. The glass was a result of a 100 year garbage dump on the sure north of the beach, over the years the glass from discarded bottles and other debris has become smooth and stunning. Glass Beach has become a tourist attraction and visitors often take some of the glass home with them, in an effort to clean up the beach. Between the natural erosion and visitors collecting pieces, the glass is becoming depleted and the beach is returning to its natural state, so you better get here before it’s too late and don’t forgot your camera! Rare sea turtles, active lava flows, and pitch black all contribute to make Hawaii’s Punalu’u Beach one of the most unique beaches in the world. 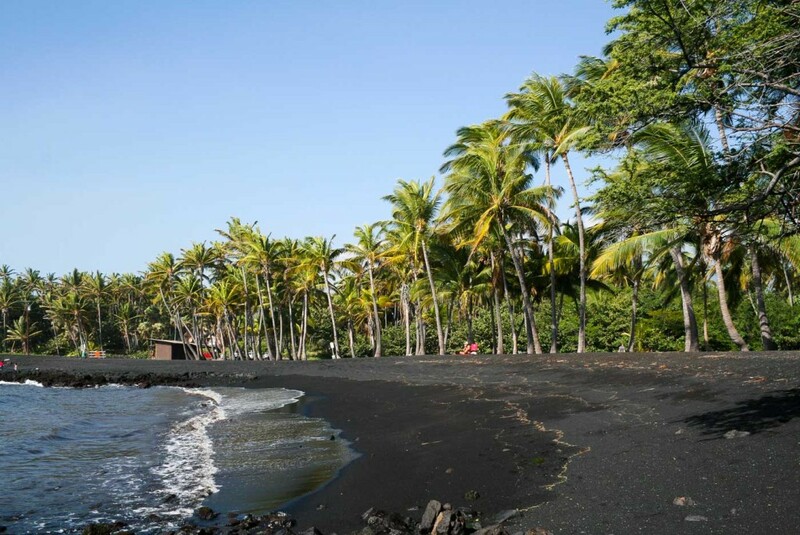 The black sand is created by the explosion of lava meeting seawater. While swimming here isn’t advised to to rocks and dangerous currents, it is definitely a must see on your Hawaiian trip. Relax with a book, take plenty of photos, and watch the kids make black sand castles. This beach is so unique it has even been the subject of several classic surf-rock songs, surfs up man! While there is no doubt Ko Pha Ngan offers word class beaches, this is not the reason it is on this list. The southern Thai island of Ko Pha Ngan is famous for it it’s monthly debaucherous Full Moon Parties. What started as a small group of backpackers adopting a Thai custom, has now become one of Asia’s best known parties and you would even be lucky to get a hotel during the peak season. Every month thousands of young travelers flock here for all night debauchery complete with fire dancers, deejays, and redbull-rum “buckets.” So while this might not be for everybody, Ko Pha Ngan’s Full Moon Parties definitely earn it a spot on our list of the most unique beaches in the world.